A gorgeous and vibrantly colored glass sculpture perfect for recognition! 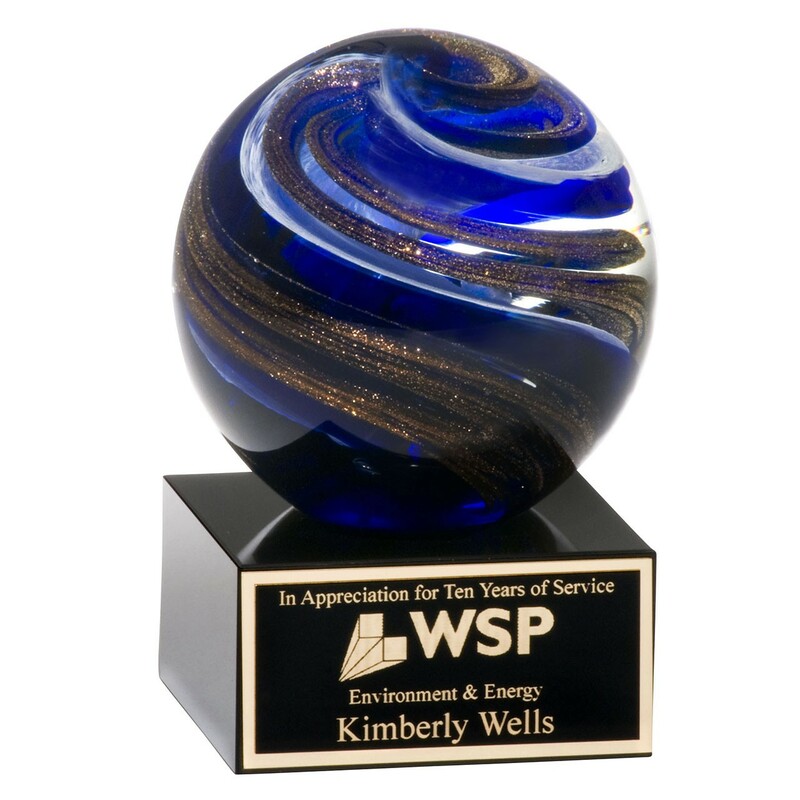 The Nebula Swirl Art Glass Trophy features a sphere swirling with white, blue and gold metallic highlights. Atop a solid black glass base, this is a sturdy piece ready for your free and customized engraving! Out of this world workers deserve superb awards that can be displayed for a lifetime!